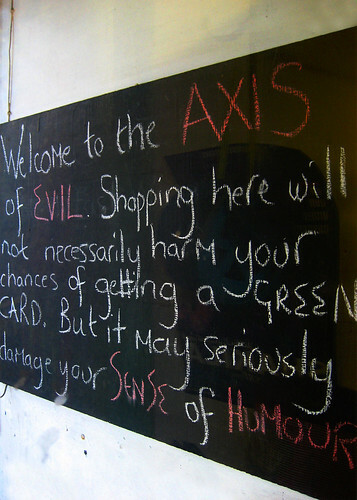 Axis of Evil Shopping, originally uploaded by Mr Jaded. i just bought a really special book called persia in peckham, by sally butcher. "iranians love [pills], and they love doctors. all parents secretly want their children to be doctors. all iranians also secretly believe that they themselves know better than the doctor. their relationship with the profession is very much love-hate." has this woman met my family?